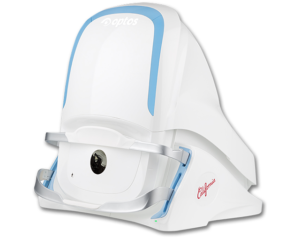 The Optos is a device that takes a high definition image of the retina (the back of the eye). 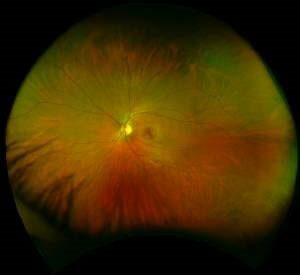 This is important because it allows the doctor to assess the health of your retina, verify or rule out possible signs of glaucoma, diabetes, hypertension, retinal tears, retinal detachments, freckles, melanoma and much more. Other benefits: Digital documentation that can be compared to yearly by the doctor to document any subtle changes on future visits, taking a baseline image of suspicious findings and having the ability to show the patient what our doctors see in their eyes. Our doctors prefer digital images performed on every patient. You will be asked at every annual exam if you’d like to have this image taken.